Soul Contracts: What’s the Secret Code? I’ve been working with Soul Contracts for many years now – and I’m often asked why some Soul Contracts are desirable while others are not. There are really two types of major soul contracts. First, there are those that we took on before coming into a human lifetime (when our souls are in their highest vibration). These are the contracts that we intended to use to help ourselves master challenges. These type of contracts usually involve a relationship with another person, place or animal and although often difficult to experience, their result is always for our greatest and highest good. An example of this would be when a soul (before coming into a lifetime) says “in this upcoming lifetime I want to work on speaking up – so I’m going to pair up with Harry over there so that I can learn about that through my experiences with him.” Most of these contracts are not removable and they will stay with each person for their entire life, helping growth and transformation to occur. The second type of Soul Contract occurs while we are IN our human bodies and are usually made in a moment of fear. They rarely serve our greatest and highest good (although in the long, long run like anything else they always do.) An example of one of these contracts would be a husband who, after a night of cheating, guiltily vows to stay with his wife forever or a mother who, upset because she lost her son at the supermarket, upon finding him commits that she will “always take care of her son no matter what.” These are all contracts made out of a negative emotion – intending to put a system in place that will prevent hurt or pain from ever happening again. But what happens when this wife passes over? With this contract in place, the man won’t be able to find love again. What happens when, in a different lifetime, the mother and son come back as sister and brother? The soul contract no longer applies – but the soul strives to adhere to it. Soul Contracts are very complicated and yet not so complicated. You have a Soul Contract with every person, animal and event in your life – intended to help you grow as a human and re-discover who you are. Just become conscious of your words and how powerful they are and you can avoid making any Soul Contracts that won’t serve you! https://www.daniellemackinnon.com/wp-content/uploads/2011/01/mannamaste.jpg 317 475 Danielle MacKinnon https://www.daniellemackinnon.com/wp-content/uploads/2018/10/DM-Editable-Logo-new.png Danielle MacKinnon2011-01-19 16:55:072018-01-15 21:36:19Soul Contracts: What's the Secret Code? I am very glad to have read this article regarding Soul Contracts. I really never heard of it before and am just finnishing up an Akashic Records studdy. Finding out about how they work has allready helped me in understanding some of the feelings and situations in my life now. I would like to read more if you have any suggestions on what I could find . I thank you . I did a past life regression because I was having trouble being able to open up to love again. I discovered a former boyfriend (in this lifetime) and I had sworn to “love each other through all eternity” in a past lifetime. I had to release both of us from this contract. I’m sure this is a common occurance, people say things like that all the time. Robert Ohotto talks about the Soul Contract. He use to be on Hay House Radio and now he is on Contact Talk Radio. That’s where I first heard about it. Hey, I didn’t tell anyone they could write about me. : ) Suddenly I understand the meaning behind a Dennis the Menace cartoon I read when I was a kid where Dennis and his mom and dad are walking out of church at the end of a Sunday service and as Dennis glances back at the pastor Dennis whispers to his mom, “You sure he wasn’t preaching about dad?” In the same way your passage could have easily been written about me. It seems I too have brought in friends and family who are good at speaking up. I however am very uncomfortable at speaking up for myself. I wish to Heaven that I could let go of this contract that keeps being shoved in my face. I am comfortable with being demure. This speaking up issue is something I wish I could get rid of. I want to be me and this “me” didn’t sign a contract and I shouldn’t have to pay the price for it. Is there any possibility of dumping this unwanted burden? Danielle at Continuum in Toronto this March! 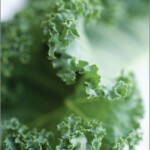 A Steamed Kale Recipe That Raises Your Vibration!